Whether it’s a five minute song or a two hour show, Marty Edward’s performance will be extraordinary and will leave your audience mezmerized. Kenny Rogers has been thrilling audiences since the sixties, with classics hits like: The Gambler, Lady, Lucille, Coward of the County, Daytime Friends, Islands In the Stream & more. Marty Edwards has been entertaining fans since the early 1970’s as a lead vocalist & guitarist for a country band. It wasn’t until 1998 that he thought about doing a tribute to Kenny Rogers when he produced the first annual “Put A Little Love In Your Heart” benefit concert, an annual benefit concert that helps abused children. His first show was short so he put the Kenny Rogers tribute together as a one-time performance. It went over so well he was asked to repeat the performance at other venues. 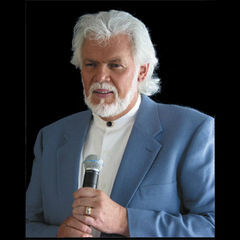 Marty Edwards’ critically acclaimed tribute to Kenny Rogers has since, raised thousands of dollars for charity, and delighted audiences ever since!